Rare cause of hip pain and its management. Case Report | Volume 5 | Issue 3 | JOCR July-Sep 2015 | Page 32-34 | Hideo Kobayashi, Haruka Kaneko, Yasuhiro Homma, Tomonori Baba, Kazuo Kaneko. DOI: 10.13107/jocr.2250-0685.301. Yasuhiro Homma, Department of Orthopaedic Surgery, Juntendo University, 2-1-1 Hongo, Bunkyo-ku, Tokyo, Japan, 113-0033. Introduction: Periarticular calcific tendinitis is a common cause of Orthopedic outpatient referral. Calcific tendinitis of the rectus femoris, however, is very rare and not well known. Due to its rarity, correct diagnosis and prompt treatment are not fully understood. Case Report: Two females (38 and 40 years old) of acute calcific tendinitis of the rectus femoris with the good clinical course without any operative treatment were presented. The pain was managed with oral non-steroidal anti-inflammatory drugs and/or local steroid injection. Interval radiographic assessment showed complete resorption of the calcification. Conclusion: Establishing the correct diagnosis and initiating prompt treatment are shown to be important in achieving resolution of symptoms and in avoiding unnecessary investigations. Keywords: Calcific tendinitis, Hip pain, Non-steroidal anti-inflammatory drugs, Steroid injection. Periarticular calcific tendinitis is frequently seen in outpatient consultation. This disease is characterized by acute inflammatory reaction due to calcium hydroxyapatite crystal deposition. The shoulder is mostly involved, less commonly the wrist, elbow and knee, and rarely the neck can also be affected [1,2]. The hip joint is also often affected by calcific tendinitis. In most cases, it occurs at the insertion of the gluteus medius and minimus , however, calcific tendinitis at the rectus femoris is very rare and not well known. Only nine articles report this phenomenon in the English literature. We report two cases of calcific tendinitis of the rectus femoris and review the literature associated with it. 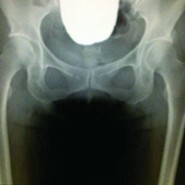 A 38-year-old female presented with a 3 days history of severe acute left groin pain and an inability to weight bear. She denied any trauma or sports activity that may have triggered the event. She had no previous problem in left hip and no general systemic disease. Physical examination showed tenderness at the left groin. Active hip flexion was impossible because of left hip pain. Visual analog scale (VAS) was 9 out of 10. No neurovascular complication was observed. A standard radiograph revealed a calcification at the inferior anterior iliac spine (Fig. 1), while a T2 weighted magnetic resonance image (MRI) showed high-intensity change at the inferior, anterior iliac spine (Fig. 1). Oral non-steroidal anti-inflammatory drugs (NSAIDs: 180 mg of loxoprofen sodium hydrate per day) was administered. The pain was gradually relieved. At 1-week after her first consultation, VAS was 3. At 4 weeks after her first visit, VAS was 0, and radiographic examination showed disappearance of the calcification. At 6 months follow-up, there were no symptoms and no recurrence of the calcification (Fig. 2). A 40-year-old female woman presented to our clinic following a 2 weeks episode of intermittent severe right hip pain (rated 9/10 on VAS), which was relieved by taking oral NSAIDs, clinically active hip flexion was restricted. Radiographic examination revealed the calcification at the inferior, anterior iliac spine (Fig. 3). Because she had severe pain regardless of taking NSAIDs, 3 ml of 1% xylocaine and 1.65 mg of methylprednisolone were injected into the inferior, anterior iliac spine. 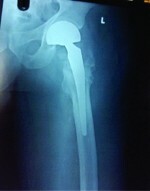 After 1-week the injection VAS became 0 and no restriction of hip motion was observed. Standard radiography after 8 weeks revealed complete absorption of the calcification (Fig. 3). Clinical review 1-year after her injection showed no reoccurrence of her symptoms. Calcific tendinitis is characterized by acute inflammatory reaction due to calcium hydroxyapatite crystal deposition, and involves various joints. Several reports have described its pathology [1,4]. In the very early stage, it is difficult to detect deposition of calcium hydroxyapatite on standard X-ray, and frequently the patient is asymptomatic. If the deposition progresses, it becomes clearly visible on standard X-ray. Subsequently rupture of the calcific deposition occurs triggering the inflammatory response, which is associated with severe acute pain. The hydroxyapatite is eventually absorbed by macrophages and polynuclear giant cell, and it ceases to be visible on X-ray. In general, it accompanies the degeneration of the tendon, and several reasons including minor trauma, local ischemia, and metabolic abnormality are thought to be involved , in addition to a genetic component, Sengar et al. reported patients with HLA-A1 have a higher prevalence of calcific tendinitis. Most commonly it occurs at the shoulder  leading to acute shoulder pain, less commonly the wrist, elbow, and knee. The occurrence around the hip joint is relatively rare, and mostly at greater trochanter the insertion of the gluteus medius . However, its occurrence at the rectus femoris is extremely rare and not well known. King and Vanderpool first reported the condition  in 1967 followed by Pope and Keats  in 1992. To the best of our knowledge, only 23 cases have been reported. As shown in Table 1, females in their forties are most commonly affected. Some cases presented the trigger before onset, but detail is not clear. Clinical signs for calcification of the rectus femoris include tenderness at the inferior, anterior iliac spine, and an inability to perform active hip flexion. For radiographic diagnosis, the ultra sound is a quick and non-invasive examination tool. Typically an acoustic shadow is observed. Computed tomography (CT) scan is very helpful to identify the exact location of the calcification. MRI shows low-intensity changes in T1 and T2 weighted image at the area of the calcification. Furthermore, MRI is useful when considering differential diagnoses including os acetabuli, an avulsion fracture, sesamoid bones, myositis ossificans, and chondrosarcoma. In most reports, pain relief was obtained with a combination of oral anti-inflammation drug and a local steroid injection. Both our cases were no surgical treatment was necessary. One had full pain relief after oral anti-inflammation drugs; the other needed the additional local steroid injection. Sarkar et al. reported  the usefulness of CT guided local injection without any complications. However, some recent reports describe the operative treatment with modern operative tools. Yang and Oh reported surgical rejection for the calcification under endoscopic assist . Peng et al. showed satisfactory short-term outcomes with arthroscopic treatment for chronic calcific tendinitis of rectus femoris . Although the patient who need those operative treatment may exist, we believe the evidence presented in Table 1 strongly favors non-surgical treatment with oral anti-inflammation and/or local steroid injection before any surgical option is attempted (Fig. 4). Because those operative treatment always accompany with the complications, even though those are called mini-invasive treatment. As our cases and other reports, the appropriate diagnosis should be made to avoid unnecessary investigation, and prompt treatment strategy must be selected. Calcific tendinitis of the rectus femoris is very rare and not well known. Due to its rarity, correct diagnosis and prompt treatment are not fully understood. 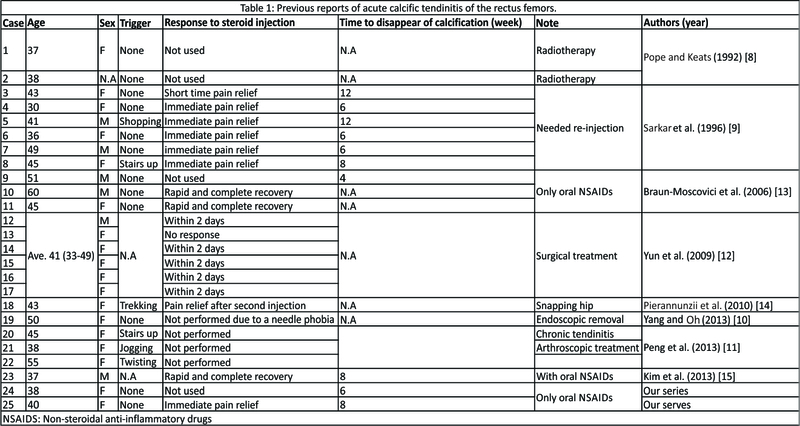 As we report, two cases of acute calcific tendinitis of the rectus femoris with the good clinical course without any operative treatment, non-operative treatment with oral NSAIDs and/or local steroid injection should be selected at first. Appropriate diagnosis should be made to avoid unnecessary investigation, and prompt treatment strategy must be selected. Calcific tendinitis of the rectus femoris is very rare and correct diagnosis and prompt treatment is not fully understood. Clinical signs for calcification of the rectus femoris include tenderness at the inferior, anterior iliac spine, and an inability to perform active hip flexion. An further evaluation such as ultra Sound, CT, MRI are helpful to establish the diagnosis. Non-operative treatment with oral NSAIDs and/or local steroid injection should be selected at first. 1. Neviaser RJ. Painful conditions affecting the shoulder. Clin Orthop Relat Res 1983;63-69. 2. Homma Y, Itoi A, Muta T, Shimamura Y, Naito K, Mogami A, et al. Acute posterior neck pain in adult: A case series. Cases J 2009;2:8103. 3. Kandemir U, Bharam S, Philippon MJ, Fu FH. Endoscopic treatment of calcific tendinitis of gluteus medius and minimus. Arthroscopy 2003;19(1):E4. 4. Kraemer EJ, El-Khoury GY. Atypical calcific tendinitis with cortical erosions. Skeletal Radiol 2000;29:690-696. 5. Holt PD, Keats TE. 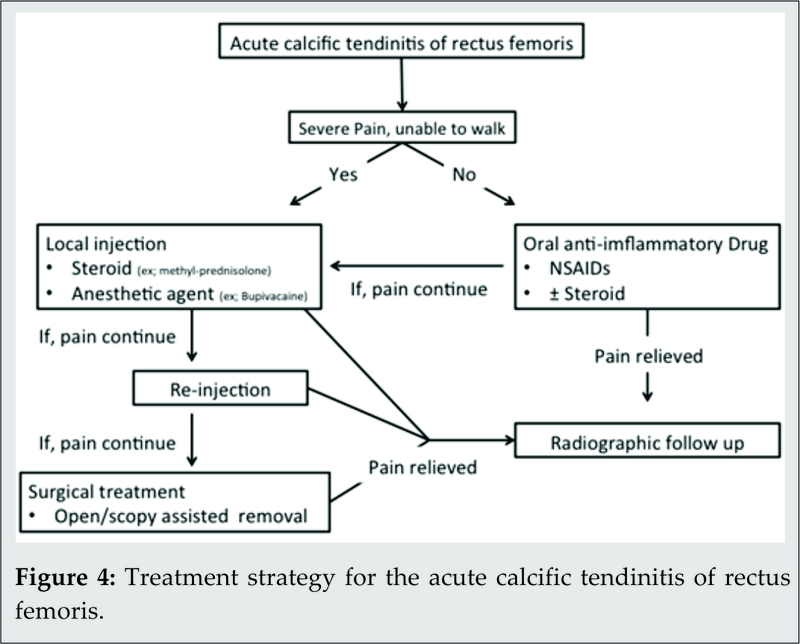 Calcific tendinitis: A review of the usual and unusual. Skeletal Radiol 1993;22(1):1-9. 6. Sengar DP, McKendry RJ, Uhthoff HK. Increased frequency of HLA-A1 in calcifying tendinitis. Tissue Antigens 1987;29(3):173-174. 7. King JW, Vanderpool DW. Calcific tendonitis of the rectus femoris. Am J Orthop 1967;9:110-111. 8. Pope TL Jr, Keats TE. Case report 733. Calcific tendinitis of the origin of the medial and lateral heads of the rectus femoris muscle and the anterior iliac spin (AIIS). Skeletal Radiol 1992;21(4):271-272. 9. Sarkar JS, Haddad FS, Crean SV, Brooks P. Acute calcific tendinitis of the rectus femoris. J Bone Joint Surg Br 1996;78(5):814-816. 10. Yang JH, Oh KJ. Endoscopic treatment of calcific tendinitis of the rectus femoris in a patient with intractable pain. J Orthop Sci 2013;18(6):1046-1049. 11. Peng X, Feng Y, Chen G, Yang L. Arthroscopic treatment of chronically painful calcific tendinitis of the rectus femoris. Eur J Med Res 2013;18:49. 12. Yun HH, Park JH, Park JW, Lee JW. Calcific tendinitis of the rectus femoris. 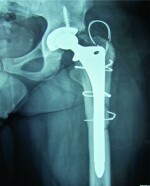 Orthopedics 2009;32(7):490. 13. Braun-Moscovici Y, Schapira D, Nahir AM. Calcific tendinitis of the rectus femoris. J Clin Rheumatol 2006;12:298-300. 14. Pierannunzii L, Tramontana F, Gallazzi M. Case report: Calcific tendinitis of the rectus femoris: A rare cause of snapping hip. Clin Orthop Relat Res 2010;468(10):2814-2818. 15. Kim YS, Lee HM, Kim JP. Acute calcific tendinitis of the rectus femoris associated with intraosseous involvement: A case report with serial CT and MRI findings. Eur J Orthop Surg Traumatol 2013;23 Suppl 2:S233-S239.